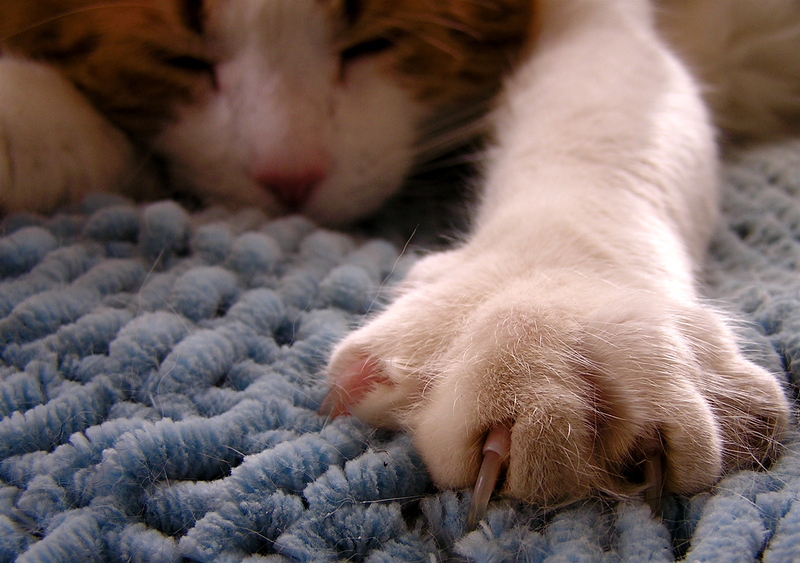 The American Animal Hospital Association (AAHA), which sets quality standards for veterinary clinics, recently revised its policy statement on declawing. While still far from perfect, the new statement is much stronger than its previous iteration, which more closely mirrored the weak policy of the American Veterinary Medical Association. AAHA’s new policy is not currently mandatory for its member hospitals; but in the past, similar policies have ultimately been incorporated into its standards. “The American Animal Hospital Association strongly opposes the declawing of domestic cats and supports veterinarians’ efforts to educate cat owners and provide them with effective alternatives. Provide suitable implements for normal scratching behavior. Examples include scratching posts, cardboard boxes, lumber or logs, and carpet or fabric remnants affixed to stationary objects. Implements should be tall or long enough to allow full stretching, and be firmly anchored to provide necessary resistance to scratching. Place appropriate scratching objects near scratched furniture and make them more attractive than the furniture. Additionally, place scratching objects near resting areas so the cat can stretch and scratch after resting. Train cats through positive reinforcement (e.g., treats, use of catnip, verbal praise, etc.) to use the above implements. Trim cats’ nails every one to two weeks. Avoid harm to themselves or cats by avoiding engaging in rough play. Declawing is not just removal of the claw; it is a major surgery involving amputation. Declawing is rarely a medically necessary procedure. There are inherent risks and complications with any surgical procedure, including, but not limited to, anesthetic complications, side effects associated with analgesics, hemorrhage, infection, and pain. Declawing may warrant consideration as an alternative to relinquishment or euthanasia, but only after extensive education and presentation of other strategies to manage scratching behavior. Many declawed cats are still relinquished to shelters – declawing does not guarantee that cats will remain in households. This statement does not apply to claw removal when medically necessary to treat conditions such as tumors or chronic infections. If declawing is performed, the procedure must follow current best practices for amputation including multi -modal pain control before, during, and for an appropriate length of time after the surgery. AAHA believes the current data regarding behavioral issues following declaw is insufficient and will evaluate new scientific information as it becomes available. The most significant sentence may be this: “Many declawed cats are still relinquished to shelters – declawing does not guarantee that cats will remain in households.” This has never before been acknowledged by any veterinary organization. Data collected from shelters in 19 U.S. and Canadian cities (thanks to an amazing team of volunteers!) showed that as many as half of declawed cats in shelters were at least seven years old. This suggests that declaw-caused physical and behavior problems are far more common than previously believed. They just don’t crop up until years later. And when these cats get aggressive due to arthritis or chronic pain, or fail to use the litterbox, that’s when they get abandoned or dumped in a shelter. No research has ever looked at the very-long-term effects of declawing. If such research were to be done, it may well be that declawing would quickly fall out of favor.